Alexandria and Central Louisiana are fortunate to have an active museum scene, with exhibits of interest to local area residents and visitors alike. 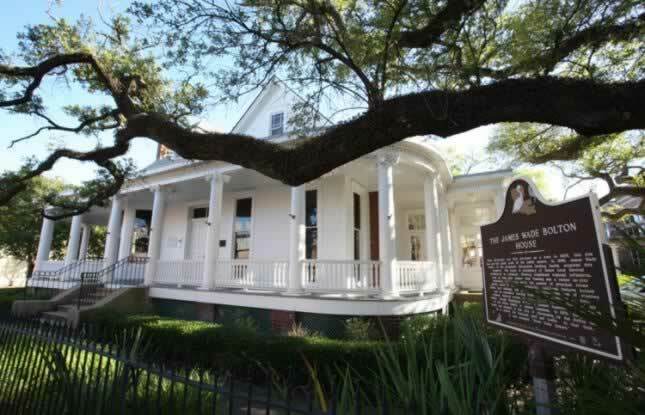 The Louisiana History Museum, located in downtown Alexandria, is dedicated to collecting, presenting, interpreting and promoting understanding of the wealth of history associated with Alexandria, and all of Louisiana. The museum maintains one of the foremost collections of historical objects in the state. The collection has grown from several display cases upstairs in the Alexandria Genealogical Library to over 50 displays and exhibits on the ground floor of the historic Alexandria Public Library. The building housing the Louisiana History Museum and Alexandria Genealogical Library started life as the Alexandria Public Library in 1907. Admission is free and guided tours can be arranged. The Louisiana History Museum is located at 503 Washington Street. Phone 318.487.8556 for more information or visit the website of the Louisiana History Museum. The Alexandria Museum of Art (AMoA) was founded in 1977 and occupies an historic Rapides Bank Building on the banks of the Red River. The bank building was constructed in 1898 and is listed on the National Historic Register. The Museum entered operates a collaborative endeavor agreement with Louisiana State University of Alexandria (LSUA). AMoA now also serves as a downtown campus for LSUA classes and is host to multidisciplinary community events, including concerts and recitals, lectures, yoga classes, Second Saturday Markets, and Museum Afterhours. These events support all art forms – film, literature and poetry, songwriting and visual arts. Typically, The Museum holds between five and seven exhibitions each year, displaying a variety of historic and contemporary subjects. AMoA offers multidisciplinary programming surrounding every exhibit, including lectures and master classes on the subject of or in the medium of the exhibit. AMoA is located 933 2nd Street in downtown Alexandria. 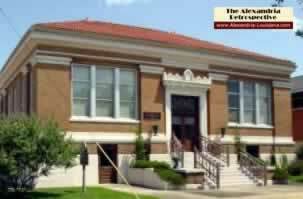 Phone 318.443.3458 or visit the website of the Alexandria Museum of Art for information and current hours of operation. An admission fee is charged. The Arna Bontemps African American Museum in downtown Alexandria is housed in the restored home that was the birthplace of the poet Arna Bontemps, renowned as one of the leaders of the Harlem Renaissance. Phone 318.473.4692 for more information and opening hours. Alexandria and Central Louisiana were a significant part of the massive U.S. military build up for World War II, and the site of the Louisiana Maneuvers. Numerous military camps were built in the CenLA area to support the growing war effort: Camp Livingston, Camp Claiborne, Camp Beauregard, Esler Field, Pollock Army Air Field, Alexandria Army Air Base, and others. Admission is free. It is located at 623 G Street, Camp Beauregard. The museum is open Tuesday through Friday, 9:00am - 5:00pm. 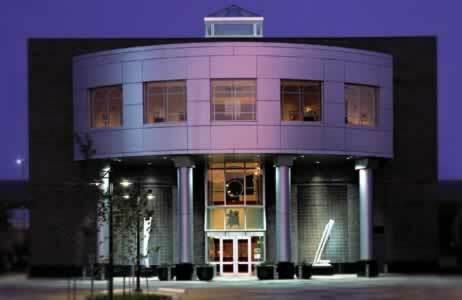 For additional information, and for arranging after-hours and weekend tours, phone 318.641.5733. The Rapides Exploratory Education (T.R.E.E.) House provides children with a sensory-engaging, interactive and fun learning experience. The Museum is located at 1403 Third Street in downtown Alexandria. Opening hours are Tuesday-Friday 9:00am - 3:00pm, and Saturday 9:00am - 4:00pm. For more information, phone 318.619. 9394 or visit the TREE House website. The plantation house is one of the oldest standing structures in the state of Louisiana. Together with its outbuildings, it preserves the homestead of a successful Creole family typical of a Louisiana colonial era working plantation. Kent Plantation House, listed in the National Register of Historic Places, is an authentic Creole plantation house built circa 1796 prior to the Louisiana Purchase. The house was built by Pierre Baillio II, whose family came from France. Kent House is located 3601 Bayou Rapides Road, just west of MacArthur Drive in Alexandria. For more information, tour options, hours and admission prices, phone 318.487.5998 or visit the Kent Plantation House website. The Southern Forest Heritage Museum is the oldest complete sawmill facility in the South. This complex is unique in that it is a complete sawmill complex dating from the early 20th century, and that it has the most complete collection of steam-powered logging and milling equipment known to exist. 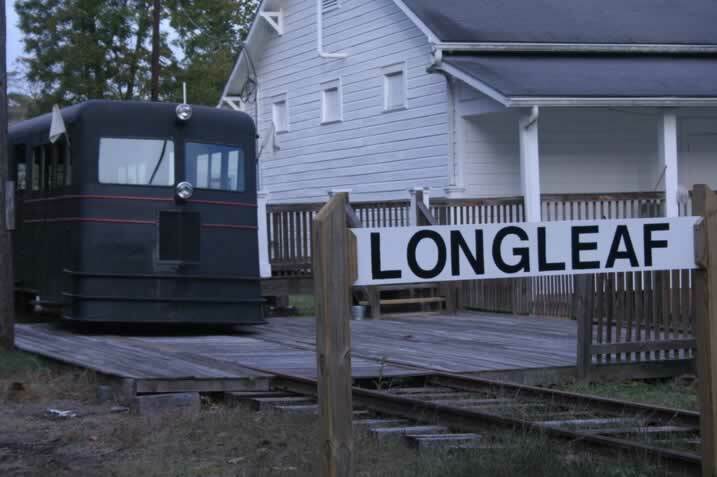 The Museum is located at 77 Long Leaf Road, Long Leaf, Louisiana 71448, south of Alexandria on U.S. Highway 165 between Forest Hill and Glenmora. An admission fee is charged; group rates are available. The museum is open Tuesday - Saturday 9:00am - 4:00pm, and on Sunday from 1:00pm - 4:00pm. Open Monday by appointment only. For additional information, phone 318.748.8404 or visit the Southern Forest Heritage Museum website. 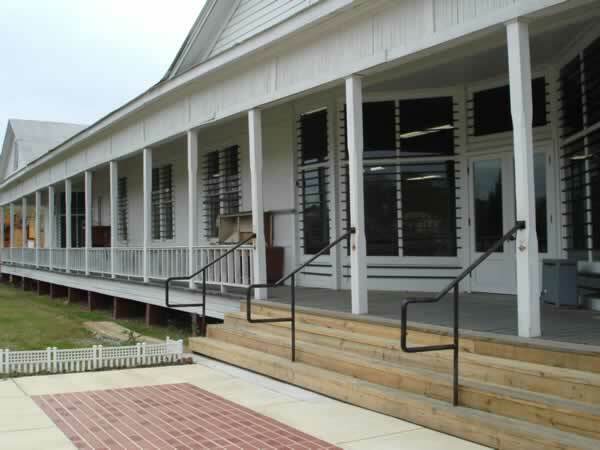 Located just north of Alexandria is the Tioga Heritage Park and Museum, the centerpiece of which is the old Tioga Commissary. This building served as department store, grocery, post office and general gathering place for decades and was the defining landmark in this little mill town built to house lumber workers and their families. 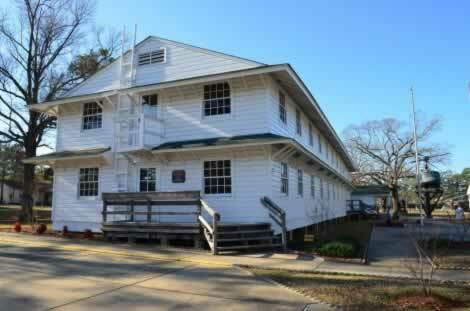 The Museum is located at 1301 Tioga Road, Pineville, LA 71360. Phone 318.640.8323 for hours of operation. Pineville is home to the Old Town Hall Museum, the only museum in Louisiana dedicated to municipal government. The building housing the Museum was originally built in 1931, and has now been faithfully restored to its circa 1935 appearance. It is located at 731 Main Street in Pineville. Group tours are available and the museum is open 8:00-12:00 every day and by appointment. Admission is free. For more information, call 318.449.5690 or visit the City of Pineville's website.